The US Bureau of Labor Statistics released the employment numbers as of January 2019, showing employment increased by 304,000 in January, compared with an average monthly gain of 223,000 in 2018. Great news but when you drill down into the data, you will find the news is great for some and not so great for others. 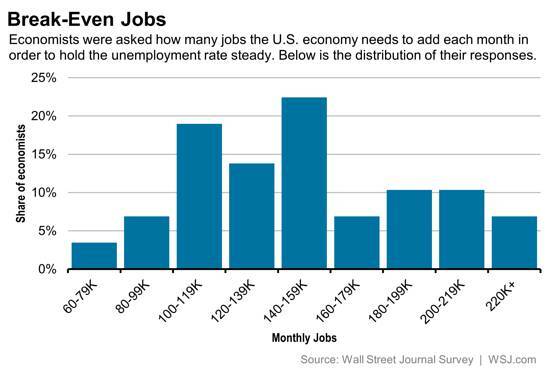 You need to add at least 145,000 jobs monthly to keep the economy growing. In January, employment in leisure and hospitality rose by 74,000 and added 410,000 jobs over the last 12 months. This ranked #3 among all sectors. Construction employment rose by 52,000 in January and has added 338,000 jobs over the past 12 months, ranking #4. Employment in health care increased by 42,000 in January and added 368,000 jobs over the last 12 months, ranking #2 among all sectors. In January, Employment in transportation and warehousing rose by 27,000, following little change in December. Over the year, employment in transportation and warehousing has increased by 219,000. Employment in federal government was essentially unchanged in January (+1,000). Federal employees on furlough during the partial government shutdown were counted as employed in the survey because they worked or received pay (or will receive pay) for the pay period that included the 12th of the month. 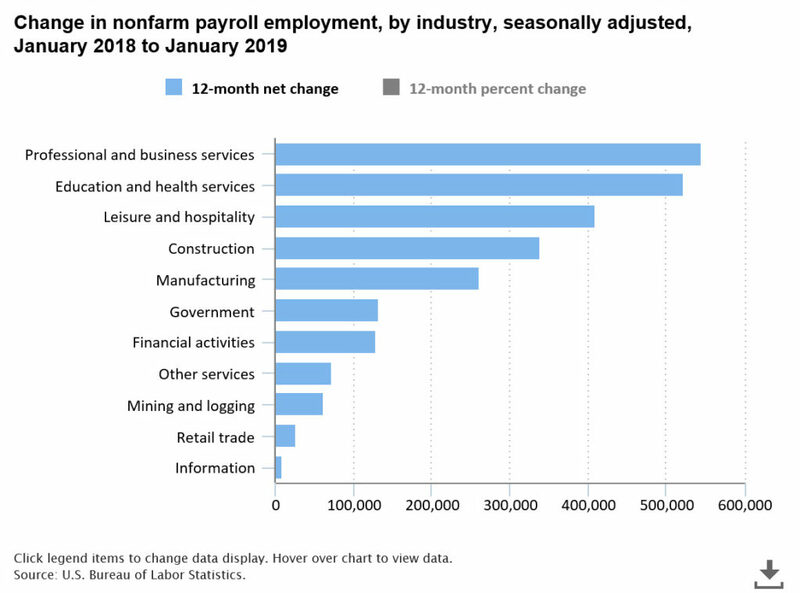 Employment showed little change over the month in other major industries, including wholesale trade, information, and financial activities. The result of a misfiring economy is slower than optimal growth, with those sectors doing well in selected major cities offset by those sectors doing poorly and full of angry underemployed, 2nd job, workers who do vote. Interest rates stay low, inflation stays low. Savers and retirees suffer from low returns, but borrowers enjoy low loan rates. Businesses can grow by borrowing rather than selling equity, which strengthens the balance sheet and profitability, fueling the stock market which puts virtual money in everybody’s pocket, leading to an overall sense of satisfaction that keeps everybody in office.